State Minister for Information and Communication Technology Zunaid Ahmed Palak, MP, has said more than three lakh youths both boys and girls will get jobs within next three years in 28 hi-tech parks now being constructed outside Dhaka. He also said around 14,000 youths will get jobs in Rajshahi Bangabandhu Sheikh Mujib Hi-tech Park that will play a vital role in boosting the current economy of the region by creating new technology-based employment. The state minister was addressing a public gathering after opening the construction works of 10-storied silicon tower, boundary wall, power substation, deep tube-well and rainwater harvesting plant at Bangabandhu Sheikh Mujib Hi-tech Park here today. 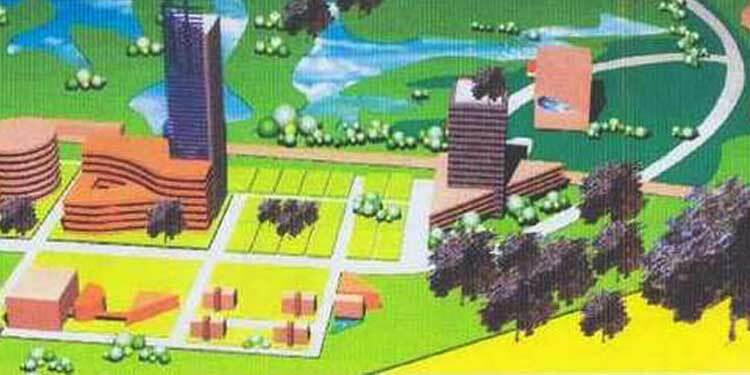 The Hi-tech Park is being built on 31 acres of land at Bulanpur area with an estimated cost of Taka 231 crore to make Rajshahi as the city of technology. Its implementation works are expected to complete by December, 2021. Rahman Bhuiyan and Deputy Commissioner of Rajshahi SM Abdul Kader. State Minister Palak said the present government under the dynamic leadership of Prime Minister Sheikh Hasina has attained unprecedented success in ICT sector. He told the meeting that more than nine crore people are using internet and 10 crore people are using mobile phones in the country at present. He said unemployment problems of the country would be reduced to a greater extent when the 28 under-construction hi-tech parks will go into operation. and biotechnology. Besides, more avenues of employment for the ICT people will be created in this venture. He said the park will play a key role in building Digital Bangladesh, accelerating the national economic development by expanding hi-tech industries, establishing hardware and IT industries and creating a helpful condition to attract foreign companies. Foreign companies, he said, would be allowed to provide technological support for developing local industries. The present government is pledge-bound to promote the ICT sector for overall development of the country, he added.